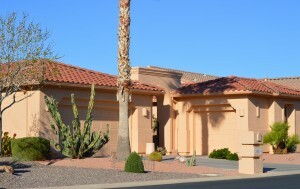 24314 Sunbrook is located in gated Oakwood Country Club in the active adult community of Sun Lakes Arizona. You will LOVE this 2600 square foot, 3 bedroom, 3 bath home situated on the golf course with water and mountain views. The popular Sienna floor plan is open with great views of the golf course from the kitchen, dining room, family room and master bedroom. 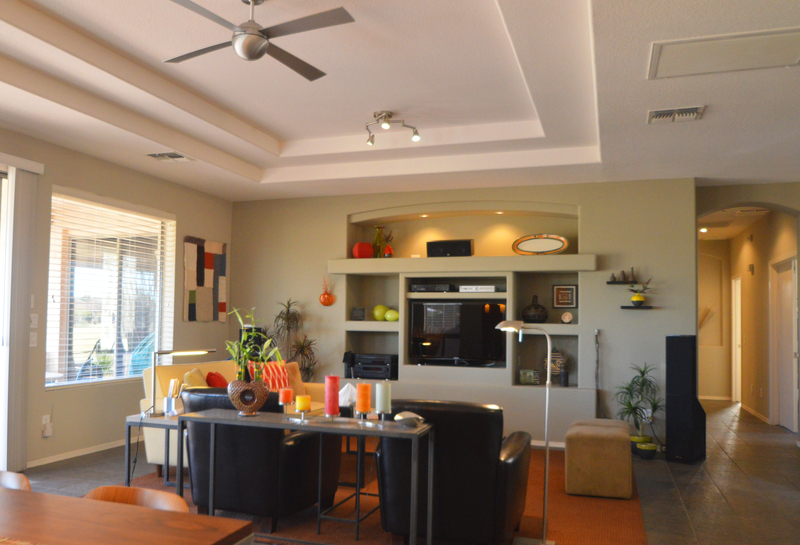 One of the things our clients love most about this floor plan is the separate casita (guest house). The casita is a great place for guests or can be a home office, man cave, hobby room or just about anything you can think of. It has its own closet and bathroom. Click here for a link to the listing. This home has tons of them! Outdoors – TV outlet, mister system, speakers, custom spa, Fire Magic gas grill (48″), Extended patio and cover, roll down sun screens and more! This popular Sienna floor plan is open – enter through the 8′ custom door with phantom screen into the Great Room and see the amazing golf course and water views instantly! The kitchen is spacious with an island and looks into the Great Room and to the patio and golf course. With the block construction that Robson offers in Oakwood Country Club you will notice a big difference on heating and cooling bills not found in homes with frame construction. The all tile flooring is cool to the feet and easy to clean. This entertainment center features accent lighting and is wired for surround sound. This is the view from the patio looking south. Located between the 150 and 200 yard marker most traffic is out on the fairway. 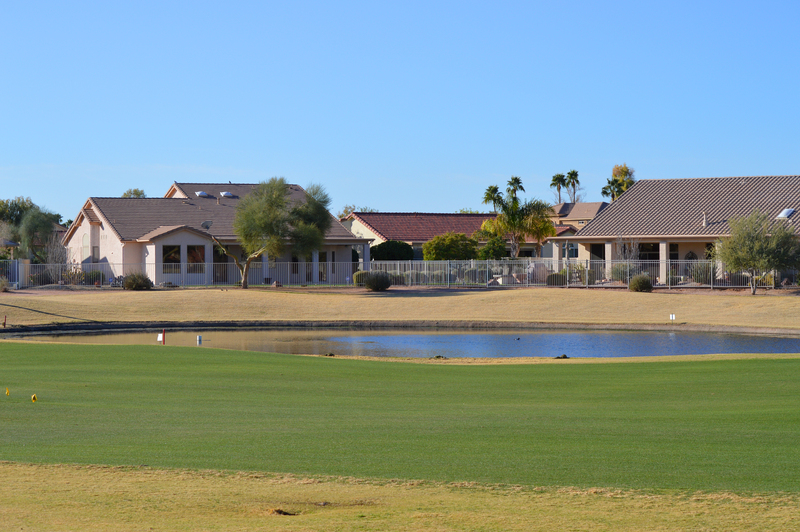 Sit on your patio and watch the golfers hit their second shot on the #9 hole of the Sonoran golf course. Or sit in the hot tub at night and gaze at the millions of stars – no city lights to block your view here! If you like to grill and entertain you’ll love the 48″ gas grill, tiled patio, misting system and a tv outlet to watch your favorite show or listen to Pandora while you entertain. 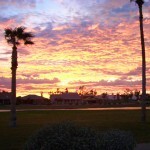 Or simply sit and watch the amazing Arizona sunsets in the southwest skies. Did you happen to see the Blood Moon a couple of weeks ago? 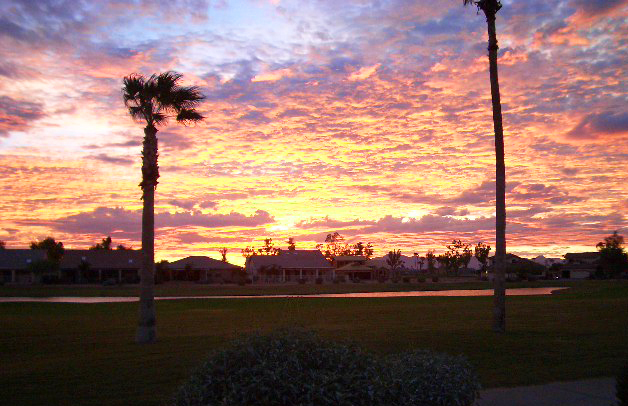 You’ll be amazed what you can see from the patios in Sun Lakes! Buying a home in Sun Lakes is buying a lifestyle! You’ll find three 9-hole golf courses in Oakwood, a large salt water swimming pool, separate kid pool, separate lap pool, hot tub, 14 tennis courts, pickle ball, fitness center with separate pool and hot tub, restaurants, miles of walking paths and hundreds of clubs and organizations. If you like hiking join the Sun Lakes Hiking Club. Love photography? Join the Sun Lakes Camera Club. You’ll find so many clubs and organizations you couldn’t possibly do them all. And if you don’t find what you are looking for – start it! 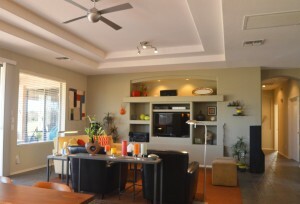 This is truly active adult living and in one of the BEST locations in Arizona! Located just a half hour from both Sky Harbor and Mesa Gateway Airports and minutes from the I-10, the 101 and the 202 make travel effortless. Shopping is close with the Chandler Fashion Mall and San Tan Shopping Area. 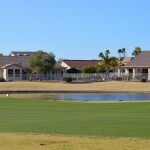 No wonder it’s one of the top choices for active adult living in Arizona. Community Video – If you aren’t sold yet take a look at the Sun Lakes Community Video or click here to see our listing videos and we think you will want to call us and find out more about Sun Lakes and real estate here. Visit our website to view floor plans. 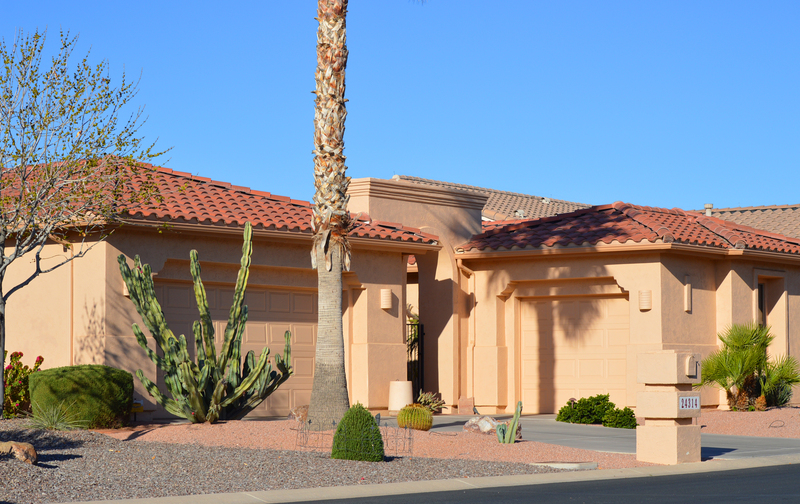 You can also click here to sign up for new listings or simply contact The KOLB Team and we’ll be happy to talk with you and answer specific questions you have. Here is the community video!